1967 Trident Clipper - Wow. This is a remarkable car. Long story short... The Trident was originally going to be sold as a TVR. TVR was going through one of its many financial crises at the time and after commissioning a total of 4 cars (see them here) it went into receivership. 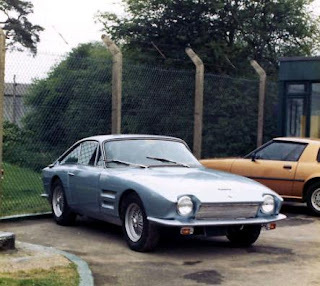 One of TVR's British dealers bought the Trident project and built the car. The Trident's body is fiberglass. It sits on an Austin Healey 3000 frame. The engine is a Ford 289 V8 with a top loader transmission (a la the Shelby / A/C Cobra) The seller writes "This car's straight line performance can only be described as brutal, with a top end of approx 160 mph." Supposedly, it's able to get to 60 MPH in just over 5 seconds. According to the seller, this is the first Trident Clipper coupe built. The original prototype show car. It has just 1869 miles on it. It is, for the most part, completely original. This is a fascinating car. Located in Thornville, OH, click here to see the eBay listing. In total, somewhere between 30 and 40 Trident Clippers were built. Check out the Trident Owners Club website and this AROnline.com article for more info. 2002 Renault Clio Sport V6 - A little social studies lesson: "Puerto Rico is an "unincorporated territory" of the United States which according to the U.S. Supreme Court's Insular Cases is "a territory appurtenant and belonging to the United States, but not a part of the United States." Puerto Rico is subject to the Congress’ plenary powers under the territorial clause of Article IV, sec. 3, of the U.S. Constitution. U.S. federal law applies to Puerto Rico, even though Puerto Rico is not a state of the American Union and has no voting representative in the U.S. Congress. Because of the establishment of the Federal Relations Act of 1950, all federal laws that are "not locally inapplicable" are automatically the law of the land in Puerto Rico." Essentially, that means that all US EPA and DOT regulations apply to Puerto Rico. If you can't buy it on the mainland, you can't buy it in Puerto Rico, either. Then how the hell did this amazing car wind up there? The Clio V6 Sport was the spiritual successor to the R5 Turbo. 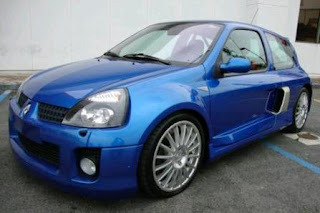 It's a mid-engined, 227 HP car that is loosely based on an economy hatchback. Like the R5 Turbo, a lot of work had to be done to turn a FWD hatchback into a mid-engined rocket and while it looks a lot like a Clio, it doesn't share a lot of parts with the original car. The bottom line here is that there is no way this car should be in the US. It's really cool that it is, and I'd love to drive it, but you'd have to be financially sound enough to risk losing $40,000.00 and the car if you bought it and got caught with it. I don't have that kind of money to lose. I'll wait another 17 years for it to become legal. As the seller notes, Top Gear's Jeremy Clarkson once commented "In my perfect ten car garage I would definitely have one of these – no question". Me too, but not this car, not now. Still, it's a great car to look at. Located in San Juan, PR, click here to see the eBay listing. 1976 Audi 100LS - If you drive an Audi A6, you have the 100LS to thank for that. Not that you would have been very thankful had you bought one in the early 1970s. These cars were plagued by just about every problem imaginable; bad electrics, poor brakes, overheating engines, poor fuel delivery, rust, you name it, it went wrong. 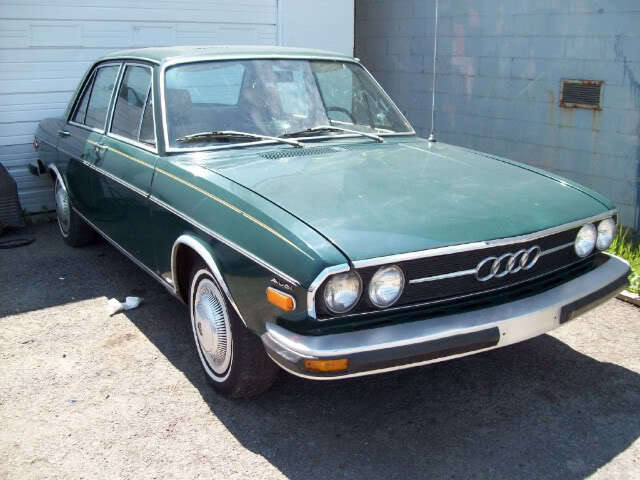 But it was this car that led to the very good 5000 (as the 100 was called in the US), which eventually led to the pretty spectacular A6 Audi builds today. The asking price for this car is its big drawing card. It's just $900.00. For maybe another $1000.00 (assuming you can find a good used windshield and the rust isn't too bad) you could turn this car into a presentable driver and a car you could bring to local shows. Located in Louisville, KY, click here to see the Craigslist ad.